If you, like we, firmly believe that avocado makes everything better you’ll love this summery green salad topped with creamy wedges of the good stuff! Steam corn over boiling water for 4 minutes, until tender. Rinse in cold water and allow to dry, then cut the kernels from the cob and reserve. Arrange the lettuce on a serving platter. 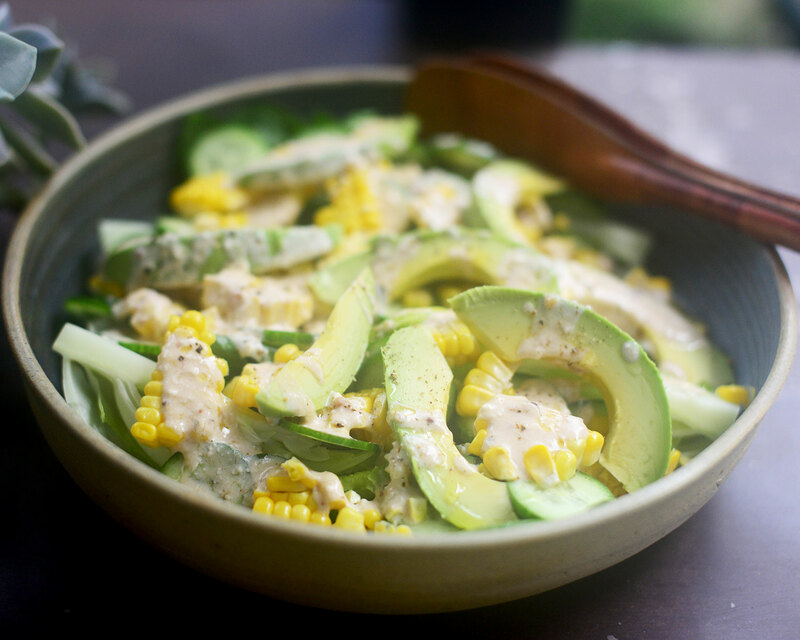 Top with cucumber, corn and avocado. To make dressing whisk together the yoghurt, lime juice, paprika and salt. Drizzle over the salad and finish with a splash of olive oil and freshly cracked pepper.